I’m dreaming of a white Christmas….. The holidays are just around the corner and a lot of us are probably way behind on our holiday gift shopping (or maybe it’s just me?) Malls are crowded, parking lots are a nightmare, and signs of sales keep on distracting us. 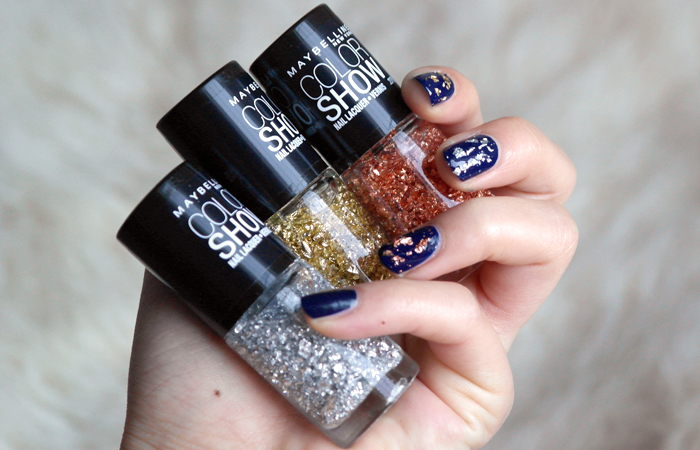 If you’re looking for a cute stocking stuffer, why not try nail polish? 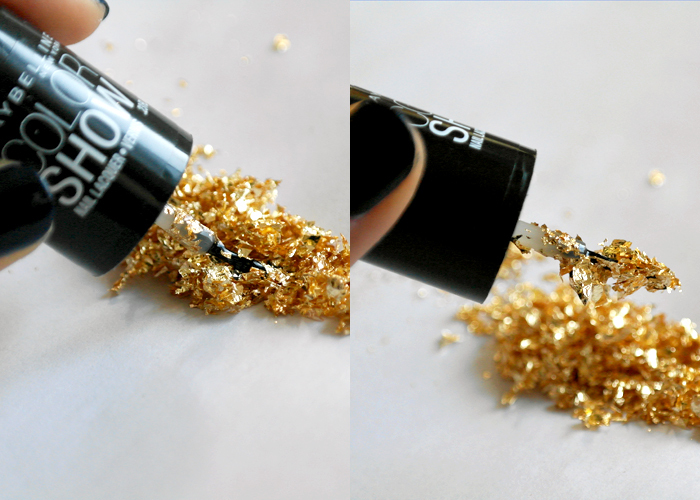 Even better, real GOLD flake nail polish! It looks AMAZING over dark jewel tones that are popular this fall/winter season. 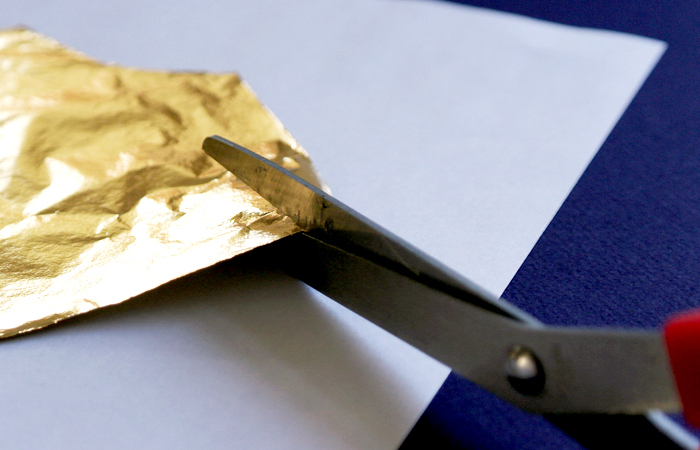 Pick up a pair of scissors and start cutting up the foil into tiny little flaky pieces. 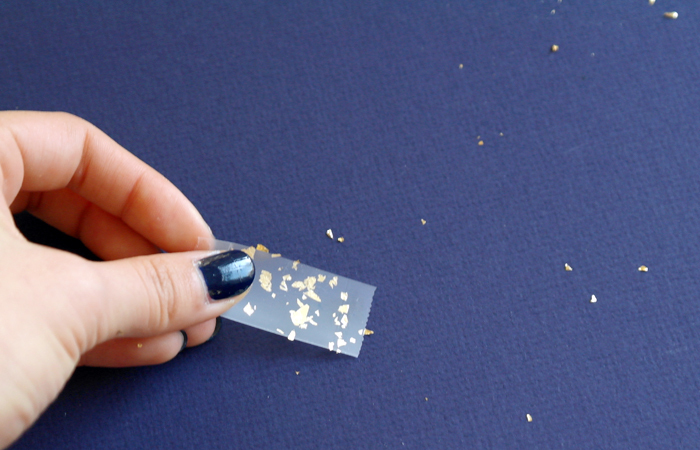 Take a piece of tape and pick up the flakes that didn’t make it into the bottle, simple and easy clean up. 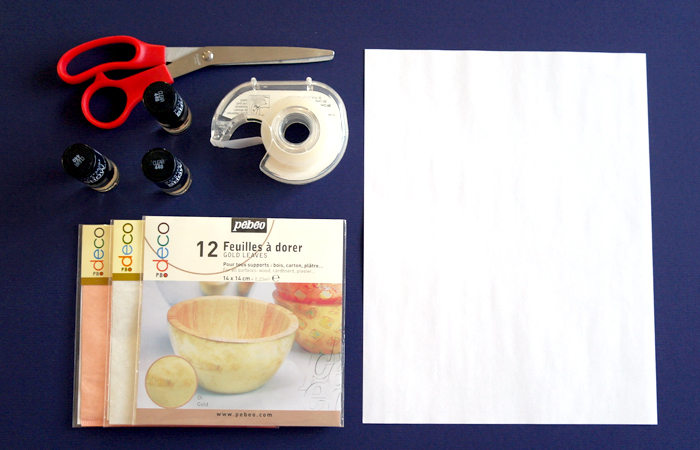 This is also works well with copper or silver foil. You could make it a set! 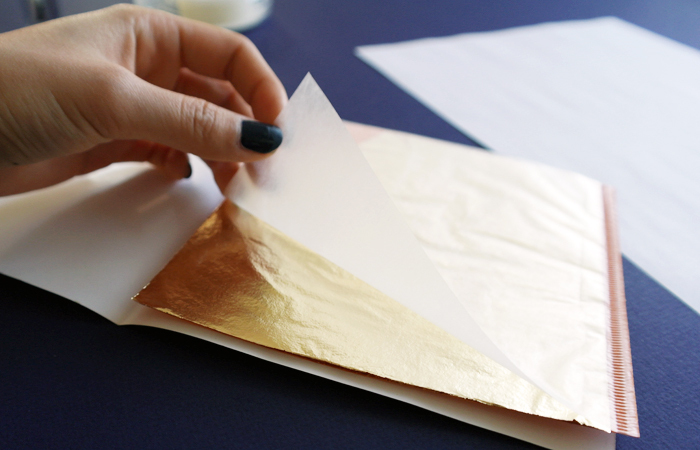 FYI If you’re using true gold foil, it may tinge your clear nail polish green (blue for copper) and that’s just part of the alloy in the foil being dissolved. It doesn’t show up when applied to your nails, the flakes are still gold and copper. My bottle with the silver flakes is fine (no colour changes), the bottle it still perfect. 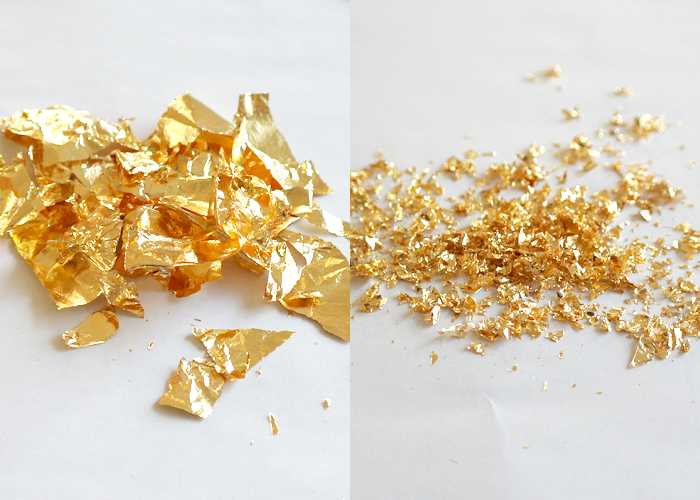 I would suggest storing your cut up gold and copper flakes in a separate little jar and when you do want to apply a metallic flaky top coat, just dip your brush into the flakes and apply instead of having them premixed in a bottle. 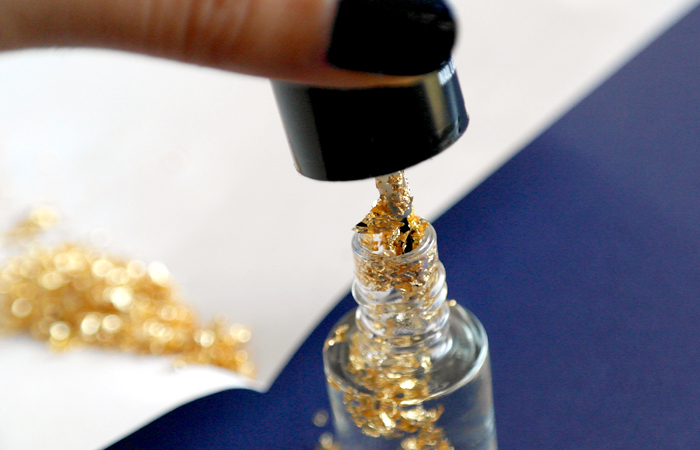 If anyone does figure out how to have the gold and copper flakes in a bottle and not have the nail polish turn green, please let me know! Fantastic DIY, I'll definitely have to try the copper one!